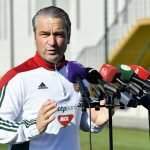 Hungary head coach Bernd Storck has emphasised that he deosn’t expect an easy match against Andorra in their World Cup qualifier on Sunday evening. Storck’s squad have already started their preparations for the Andorra match on 13th November and the friendly against Sweden on 15th November by moving into their training centre at Telki. 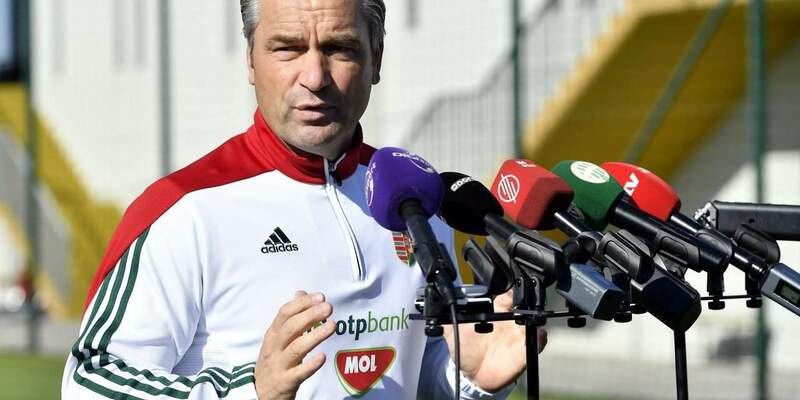 At yesterday’s press conference, Storck insisted his squad would be treating the Andorra game just as seriously as they had the previous World Cup qualifier against Switzerland. “We’re very much looking forward to this match, we’d like to say farewell to our fans in an appropriate way and close this year with a victory in our last competitive match. If we look back at our results so far, we can say that the team played well, our defence is shaping up well and in the next few days we need to work on our creative plans, so that with a win we will keep the gap between us and Portugal to just two points as a minimum and so we can start from a favourable position in the match against Portugal next March. At international level there are no easy matches so we respect the opponent and will approach this match just as we would any other. The Swiss had a lot of problems when they played Andorra and only won 2-1 in the end so we can see from that match that we can expect a compact, defensively solid opponent. We need to play with patience; the win is the important thing regardless of the margin of victory”. Mr Storck also looked back on the last World Cup qualifier in Riga, stating that we dominated the second half against Latvia, had plenty of possession and breached our opponent’s defence on the several occasions by using the wings. “We expect that Sunday’s match will be against a defensive opponent but I won’t reveal my cards before the match – we will talk about the players about what we need to do against a well-organised opposition. It is important to create as many chances as possible and to score the first goal early on, while also entertaining the fans too. It is important to emphasise once again that Switzerland hardly had any chances against Andorra so we certainly don’t expect an easy match. I’m happy that our squad’s foreign-based players have been receiving chances to play at club level, something which will have a positive effect on the quality of the game because we have already seen that the level of play against Switzerland was already totally different to that of the level against the Faroe Islands [in the very first match of the campaign]. We’re progressing in the right direction and we’re glad that our squad members are doing themselves justice with their clubs. 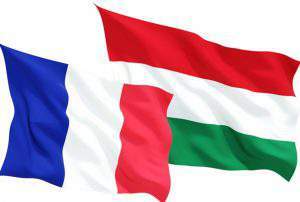 I see it as important that we are able to prepare for this match with an enlarged 28-man squad so that some younger players are able to get their opportunity in the match against Sweden when we will bid farewell to Gábor Király and Roland Juhász. 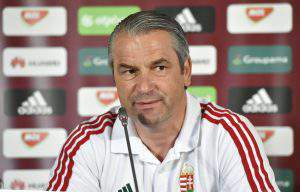 These youngsters deserve their opportunities on the basis of their performances in the Hungarian league and at international Under-21 level”, said Storck, who will be ale to count on all of the squad originally called up except Nemanja Nikolic, the Legia Warsaw being ruled out after sustaining a broken finger in last weekend’s league match which now requires surgery.